I am so excited for this first month of the book club! 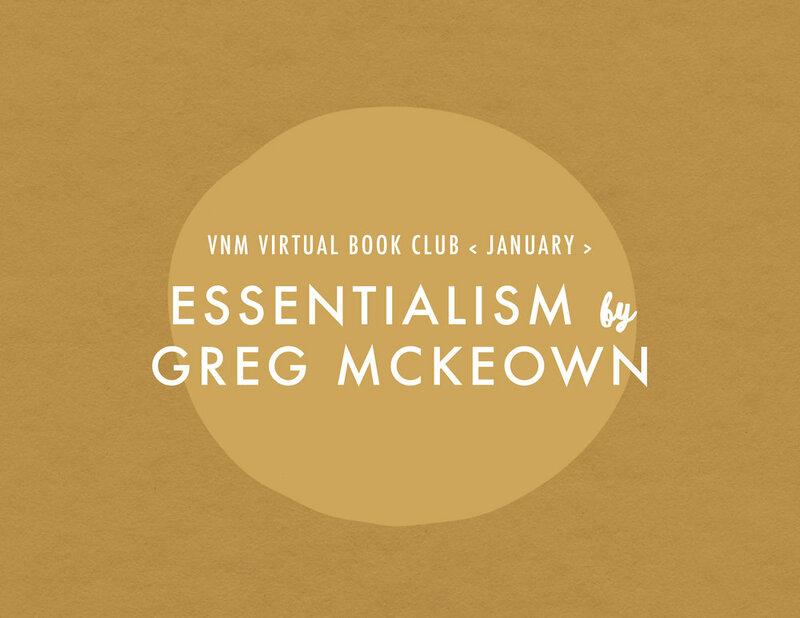 We’re kicking things off with my #1 book recommendation: Essentialism. 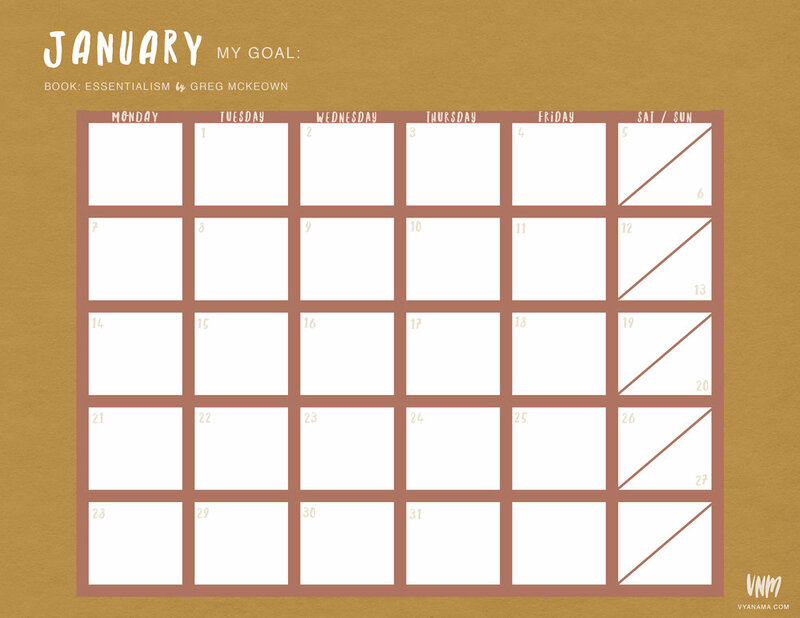 Below you’ll find details about the book, daily page goals, plus goal trackers. Sometimes having a specific goal can work against us. If you goal is to read 8 pages a day but you feel exhausted and you don’t even read one, don’t let that keep you from ever picking the book up again. Just reassess & restructure your goal to meet your needs. Maybe you add 1 extra page for the following week, maybe you give yourself an additional day at the end. I’ve read many inspiring and life changing books over the years, but Essentialism has by far been the most impactful. Although it’s written from a business perspective, the content in this book reaches into every corner of life. I’ve found the direct & realistic examples much more impactful that a standard self-help book. This road map to living simply and making your greatest impact is a must read if you feel overwhelmed and underutilized. “Have you ever felt the urge to declutter your work life?